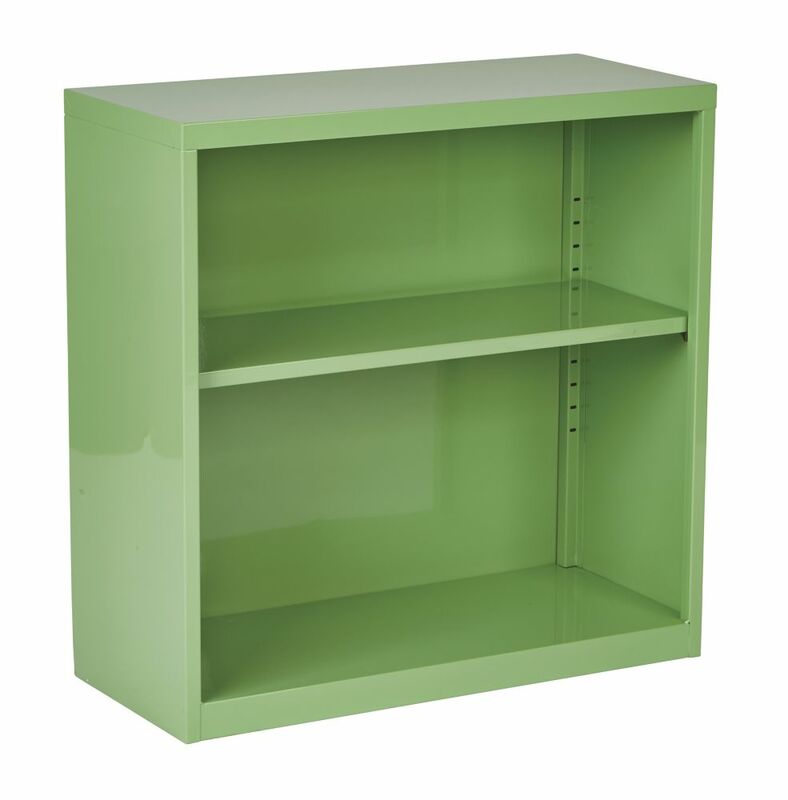 This Office Star Products bookcase has eye-catching design and durable features. Its open storage design gives you easy access to books, knick-knacks, photographs, and other items. Sturdily constructed, this Office Star Products standard bookcase will keep your items well organized for years to come. The Sami Double Bookcase is the perfect solution to create an energetic atmosphere. Sami includes 2 open shelves and 1 drawer with a unique square knob. Space to store books DVD's, pictures and more! Made of high quality MDP with colorful finishes. Splayed feet features add to the contemporary appearance and design. Serra 2.0 Display Closet is the perfect option to store and display books, photos, collectible, trophies, china and silverware. This modern functional unit can be placed in the living room, dining room, bedroom and office. With 2 long frosted glass doors your objects can be slightly seen. The unit stands on 4 modern wooden splayed legs to complete the look you want. Upon Assembly Measures: 26.57 in. Length, 62.7 in. Height, 14.57 in. Depth. Depth. Available in White. The Boden Bookcase 2.0 blends practicality and functionality without compromising on craftsmanship or design. Smartly built to include two squared shelves for stashing magazines or showcasing your favorite items, the piece also features two rectangular shelves, separated by glass, perfect for lining up books or storing cds. A smaller piece with purpose, the bookcase is convenient in any space and will add warmth and style to create a real statement in a home. Available in oak and white or white and yellow. 28-inch x 28-inch x 12-inch 2-Shelf Metal Bookcase in White This Office Star Products bookcase has eye-catching design and durable features. Its open storage design gives you easy access to books, knick-knacks, photographs, and other items. Sturdily constructed, this Office Star Products standard bookcase will keep your items well organized for years to come.